All inputs and outputs to the Incirlik Air Base located in Adana have been closed as Turkish Minister of European Affairs cautions that it is just a “safety inspection” while local newspapers speculate that a second coup attempt may be underway. Some 7,000 armed police with heavy vehicles have surrounded and blocked the Incirlik air base in Adana used by NATO forces, already restricted in the aftermath of a failed coup. Unconfirmed reports say troops were sent to deal with a new coup attempt. According to the Turkish Minister for European Affairs, Omer Celik, this is just a routine “safety inspection.” Hurriyet, by contrast, reports that anti-terror police received reports of a second attempt by Gulenists to overthrow the Erdogan regime. Incirlik Air Base, located in the province of Adana, is a critical NATO base in Turkey. The US maintains 50 to 90 tactical nuclear weapons at the base. Local media has focused on the base after the failed coup in Turkey occurred the night of July 15. Although the main scenes of the events were Istanbul and Ankara, Incirlik was shut down for a time by local authorities shortly after the putsch, and several Turkish soldiers from the base were deemed by Turkish officials to be involved in the overthrow attempt. 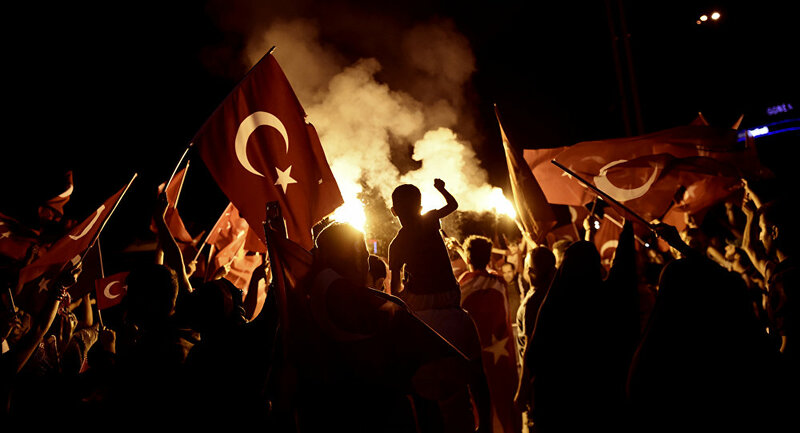 The lockdown at Incirlik follows a massive wave of protests on Thursday when pro-Erdogan nationalists took to the streets yelling “death to the US” and called for the immediate closure of the Incirlik base. Security personnel dispersed the protesters before they were able to make it to the base. The situation continues to develop in front of NATO’s Incirlik Air Base as more heavy trucks have been dispatched to surround and block access to the critical military facility that is at the heart of the defense alliance’s air campaign to combat terror in Syria. Turkish European Affairs Minister took to Twitter to once again assert that there was a “general security check” at Incirlik Air Base and that “nothing is wrong” there.